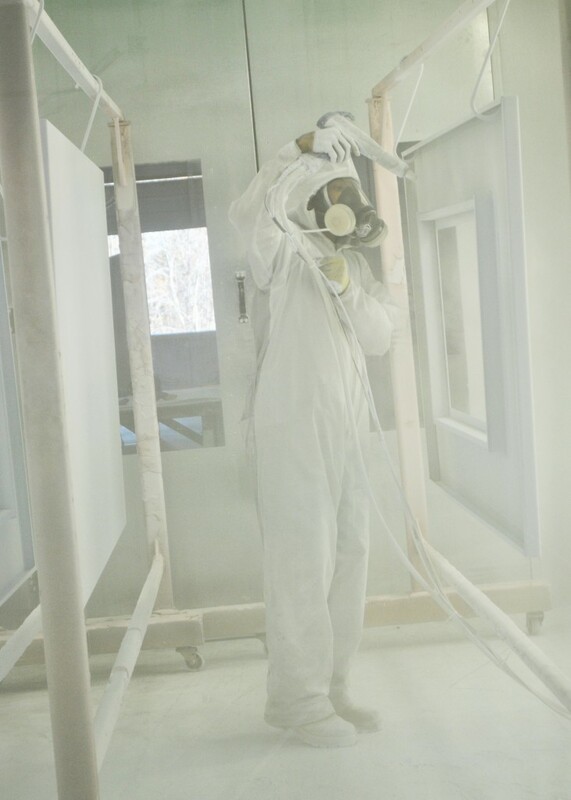 It may seem like there is a lot to consider when you buy a paint booth. It’s easy to get in the “let’s just get going and figure it out later” attitude. Selecting the right type of paint booth and developing a well laid out floor plan will save you thousands in the future. The main thing that folks don’t consider is if they need a heated paint booth to their booth in the future. Right now, they may not need heat because their business only uses it every couple days. But as the business grows and more business coming than you can handle…. you may want to add heat and make your booth work even harder for you. If you buy a Cross Flow, you won’t be able to add heat later. But our popular Side-Down Draft or Semi-Down Draft can be heated at any time… as long you as you consider a few things first to make your life easier later. Here are a few important things to think about when you’re planning the purchase your non-heated paint booth and how it will help your business grow into the future. 1. Leave enough room around the booth itself to add heat in the future and make sure you go over the intended plan with your paint booth salesman in advance. Use our knowledge to your benefit and have a conversation about what you may want to do in the future. 2. Make sure the electric load needed for your booth and/or air makeup unit is available in your building. Make sure you know where the power will need to be run from and get the associated costs from your electrician. 3. Make sure the fuel (natural gas or propane) is available and can be brought to the AMU and again make sure you are aware of the associated costs. 4. Check with town authorities ahead of time and make sure that the addition and position of an AMU is allowed, even if you are not purchasing it with the paint booth right now. Always think ahead when purchasing a paint booth. Think about where you are now and more importantly where you want to be “x” number of years from now. It’s definitely worth a day or two of creative thinking and planning ahead.